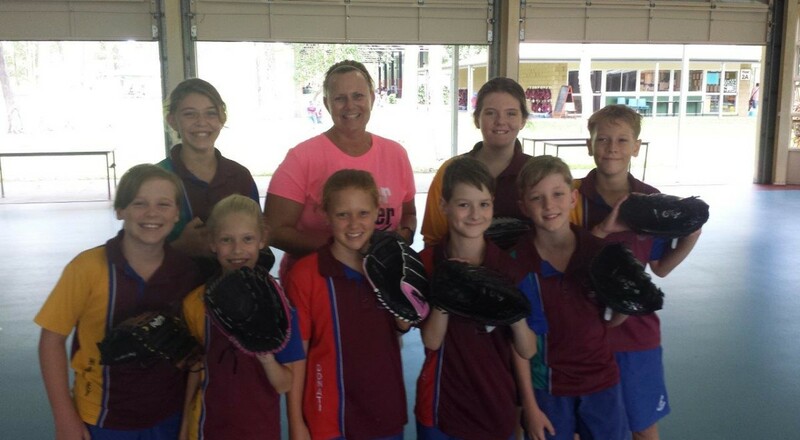 Tanya Harding with some potential softball stars of the future, thanks to the Sporting Schools program. Softball is climbing up the rankings within the Sporting Schools program, with help from elite coaches such as Tanya Harding. Latest figures show that softball is now ranked in the top 10 sports Australia-wide in terms of student participation and number of programs conducted (see table below), rising from 15th since June 2015. Helping the cause is Harding, among the greatest players in Australian softball history, who has been a crucial part of every Australia Olympic softball team, winning medals in all four appearances. Sporting Schools, a $100 million federal government initiative, is Australia’s largest sport-based participation program. It is available to all 850,000 students from K – 6 from private and public institutions. A St Michael’s students gets a hitting lesson. More than 5,600 schools have registered to be a part of this initiative, which is committed to helping sport, schools and communities work together to grow sporting activity in schools. Harding recently completed an eight-week program at St Michael’s College in Caboolture, Queensland. With about 120 students a day taking part, she was able to help the youngsters from Years 3-6 with their skills and educate teachers to help develop those skills in future. “The older kids had quite a bit of talent, and we were able to work on specific aspects of hitting and pitching,” Harding said. “With the younger ones, we worked mainly on the basics — throwing and catching. The benefits are both immediate and longer term. Many of the kids in Harding’s program tried out for district teams, and some have joined teams in the Caboolture Softball Association, where they will hopefully play for many years. Funding is available to schools for equipment, teacher development, and to link up with quality coaches locally, and to deliver the sporting program developed by the partners of Sporting Schools – more than 30 of Australia’s leading national sporting organisations. In partnership with more than 30 National Sporting Organisations, Sporting Schools will help to coordinate sporting organisations, coaches and teachers to deliver sport before, during and after school hours. It’s all about fun and participation at St Michael’s.